Barbara S. Hughes is an of counsel attorney with the law firm of Christenson Johnson, LLC. Her practice focuses in the areas of special needs and elder law, estate planning, and probate and trust administration. She holds B.A. and M.A. degrees from the University of Chicago and her law degree from the University of Wisconsin Law School. Attorney Hughes is an active member of the Special Needs Alliance, a national by-invitation only nonprofit organization of special needs attorneys, the National Academy of Elder Law Attorneys (a 2003-07 director), NAELA’s by-invitation only Council of Advanced Practitioners, the Elder Law and Special Needs Section of the State Bar of Wisconsin (long term adviser and past chair), and the Madison Estate Council (a past director). For NAELA, she serves on the program planning committee of the Council of Advanced Practitioners and on the steering committee of the Trusts & Special Needs Trusts Section, for which she has held both the co-chair and the vice chair positions in recent years. She has taught continuing legal education sessions for the State Bar of Wisconsin, WisPACT, Inc., the Special Needs Alliance and Stetson University/College of Law’s Special Needs Trusts Annual Conference. Barbara’s pro bono service includes current service on The Arc-Dane County’s board of directors and past long term intensive work on the Wisconsin Elder Law Section task forces and committees to reform and modernize the Wisconsin guardianship statutes and to create the WisPACT, Inc. pooled and community trusts for Wisconsin individuals with disabilities. 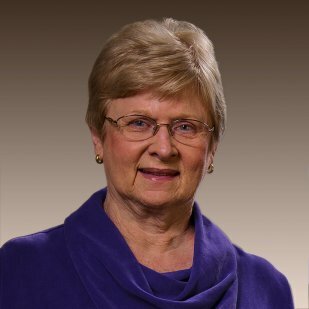 In the community, she is active in Luther Memorial Church, with current and past service on various boards and committees, including Church Council and Luther Memorial Church Foundation. She chaired the Oakwood Retirement Village’s long range planning committee through the planning and building of Covenant Oaks and the Oakwood East campus, and also served on the Oakwood Foundation board of directors and the Oakwood Apartments board. In 2009, Barbara was named as a Fellow of NAELA, in recognition of her commitment to NAELA and to the rights of older persons and individuals of any age with disabilities.